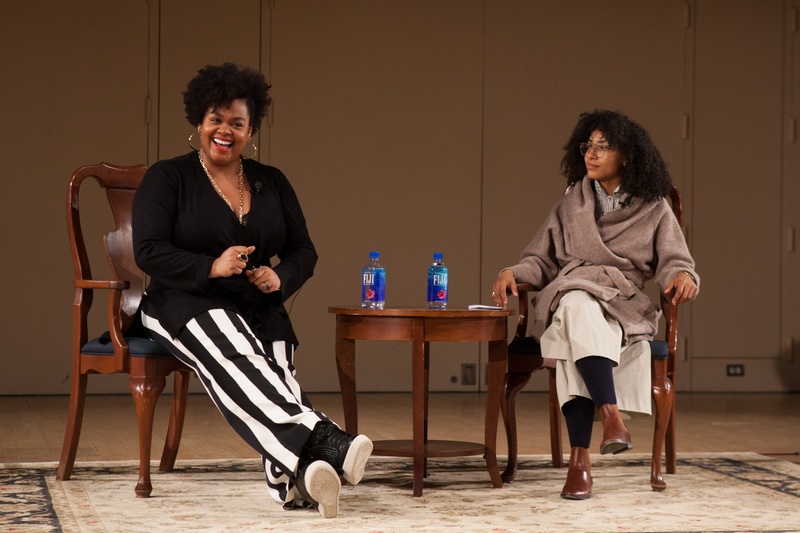 The Kuumba Singers of Harvard College hosted Grammy Award-winning singer, songwriter, and actress Jill Scott and Grammy Award-winning jazz bassist and singer Esperanza Spalding for a conversation and masterclass Tuesday to kick off the week-long Black Arts Festival. Scott credited her early exposure to art to days in her youth when her mother would take her to Ortlieb’s, a jazz club in Philadelphia. “That’s where I learned how powerful art truly was,” she said. When Spalding asked Scott where her "authenticity" comes from, Scott said she looks to other actors and musicians who inspired her to ask how they mastered performing with genuine emotion. “I tried to remember that they have to find the truth in every word, every phrase, every moment. Where is the truth as an actor, as a writer, as a singer, as a human being?” Scott said. The event started with Kuumba singers serenading Scott with her song “Golden.” Several students then performed musical numbers and received feedback from Scott. Guitarist Alexander S. Graff ’17 provided backing instrumentals for several of the performances. 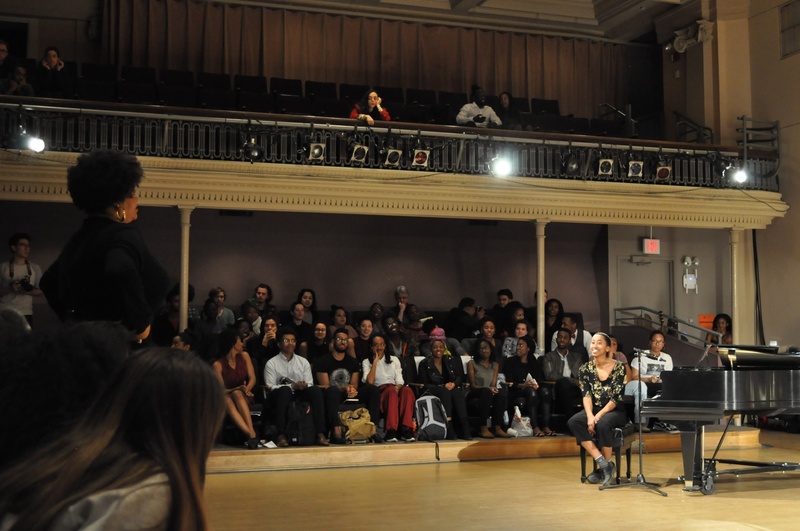 Billed to the public as a masterclass, the feedback and instruction Scott gave to student performers made the event an interactive space, attendees said. 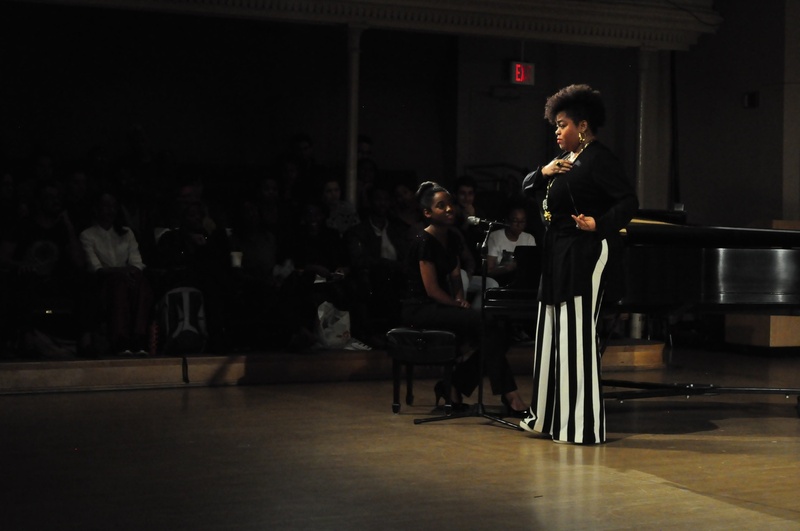 After Arlesia G. McGowan ‘19 performed an original piece called “Unenduring,” Scott emphasized the importance of sharing personal spirit through your song. “Taste what you’re saying. See the color of what you’re saying,” Scott told McGowan. 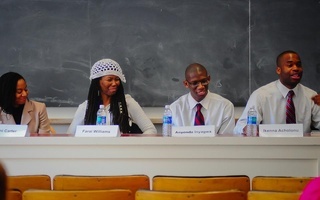 Later, after Roderick Mullen’s ’19 cover of “This Woman’s Work” and “Latch,” Scott spoke about finding ways to sing with more passion. “What we look for as vocalists is water to swim in,” she said. Michael A. Wingate ’18 performed last, singing a cover of “Plastic” by Moses Sumney—marking another song Scott appeared to relish. “When you have a voice like yours, all you have to do is tell the truth," Scott said. 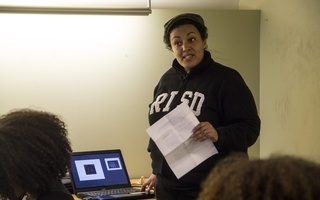 While Scott offered performers feedback, she shared her insight with those watching, too, telling them about the struggles that come with publicly performing.